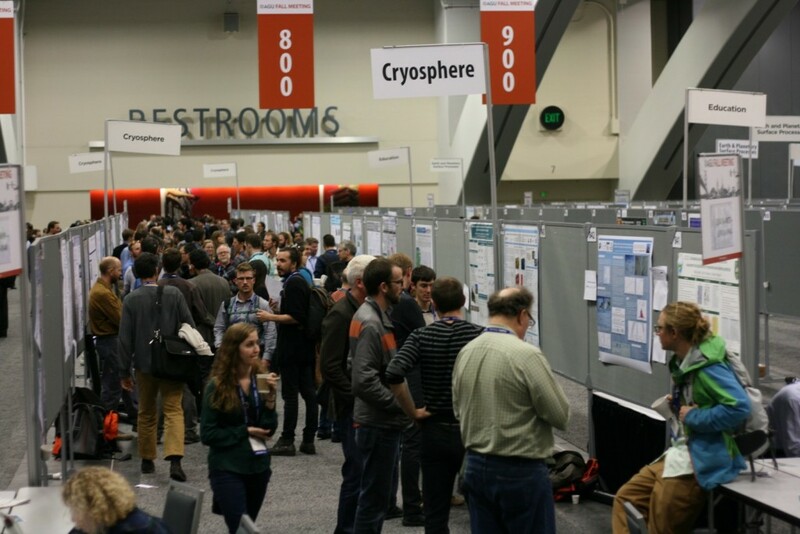 The American Geophysical Union (AGU) Fall Meeting, which takes place every December in San Francisco is ending today. 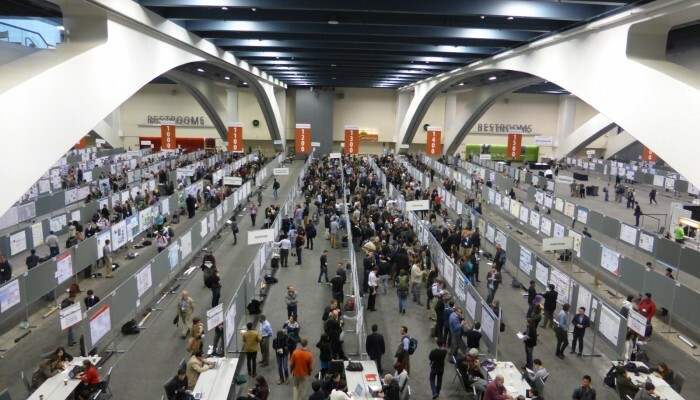 With more than 24 000 attendees, 14 000 poster presentations and 7 000 talks, the AGU meeting is the largest conference on geophysical sciences in the World. The cryosphere is one the topics covered by the meeting and we hope that this year edition was a fruitful for every participant. Sophie Berger is a postdoc at the Alfred Wegener Institut, Germany. She is using various remote sensing data and techniques to investigate the dynamics and stability of the ice shelves in Dronning Maud Land (East Antarctica). She completed her PhD at the Université Libre de Bruxelles (ULB), Brussels, Belgium. She tweets as @SoBrgr. Image of the Week — What’s up with the sea-ice leads?